Installing a pickup on your acoustic guitar isn’t about being able to plug in and ride the lightning. 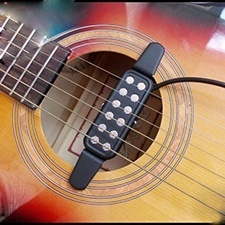 In fact, the job of a good acoustic guitar pickup is to capture the subtle nuances of an acoustic guitar’s sound with as little adulteration as possible. When it comes to choosing an acoustic guitar pickup, guitarists can choose between a soundhole pickup, a soundboard transducer or an under-saddle transducer. 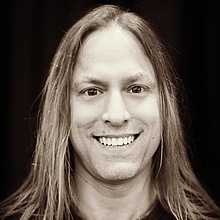 And when choosing between these options players need to take into consideration the build of their guitar, their playing style, their playing requirements and sometimes their budget. 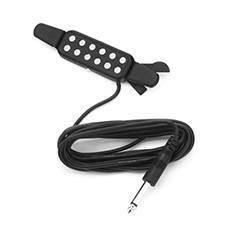 The HDE soundhole pickup is an excellent choice for most beginner guitarists who are on the lookout for a cheap and easy way of amplifying their acoustic guitars. This 5 X 1 inch soundhole pickup is made of a fairly durable plastic and is extremely easily to install. Players simply have to clip the pickup on to their soundholes and connect the built in lead to any ¼” input and they’re ready to go. The built in lead also comes with a 3 meter long cable which gives you a fair amount of room to move about. And if this isn’t enough in a live environment, lengthening the cable is a simple task. However, like most soundhole pickups, the HDE soundhole pickup can interfere with a guitar’s strings if not positioned properly and can create unwanted buzzing or humming noises. Players may also need to experiment with various positions with this pickup to make sure that it picks up vibrations from all six strings equally and to get the best possible tone. This isn’t rocket science, though, and usually only takes a few minor adjustments. While it isn’t something you’ll see on any professional guitarist’s instrument any time soon, the HDE Acoustic Guitar Pickup does a commendable job of picking up an acoustic guitar’s tone. 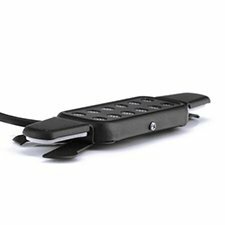 The pickup doesn’t have a volume control like most other advanced acoustic guitar pickup systems, but can be cranked up in volume without sounding distorted. However, this is a passive pickup which means that it doesn’t offer players the ability to adjust volume, tone or EQ through the pickup. The key to enjoying this pickup is in buying it with realistic expectations. If you think that it’s going to make your acoustic guitar sound incredible in a live or studio environment, you are most likely to be disappointed. But if you’re looking for an acoustic guitar pickup that does a commendable job and offers incredible value for money, the HDE is a great choice.